In 2007, associate professor of medicine Samia Mora and colleagues published a study of exercise that sought to understand why physical activity is salutary. They already knew that exercise reduces the risk of cardiovascular disease as much as cholesterol-lowering statin drugs do. By analyzing biomarkers in the blood of 27,055 women participating in a long-term study, and other objective measures, they hoped to tease out the source of this effect. How much of the benefit was attributable to improved blood pressure? To lower body weight? Or to something else? The women had donated blood in the 1990s when they entered the study. Eleven years later, the researchers analyzed this frozen blood to see if they could find anything that correlated with long-term cardiovascular outcomes such as heart attack and stroke. “We were actually surprised that reduced inflammation was the biggest explainer, the biggest contributor to the benefit of activity,” says Mora, “because we hadn’t hypothesized that. We knew that regular exercise does reduce inflammation over the long term, but we also knew that acute exercise transiently increases inflammatory biomarkers during and immediately after exertion.” About a third of the benefit of regular exercise, they found, is attributable to reduced inflammation. The anti-inflammatory effect of exercise was much greater than most people had expected. That raised another question: whether inflammation might also play a dominant role in other lifestyle illnesses that have been linked to cardiovascular disease, such as diabetes and dementia. 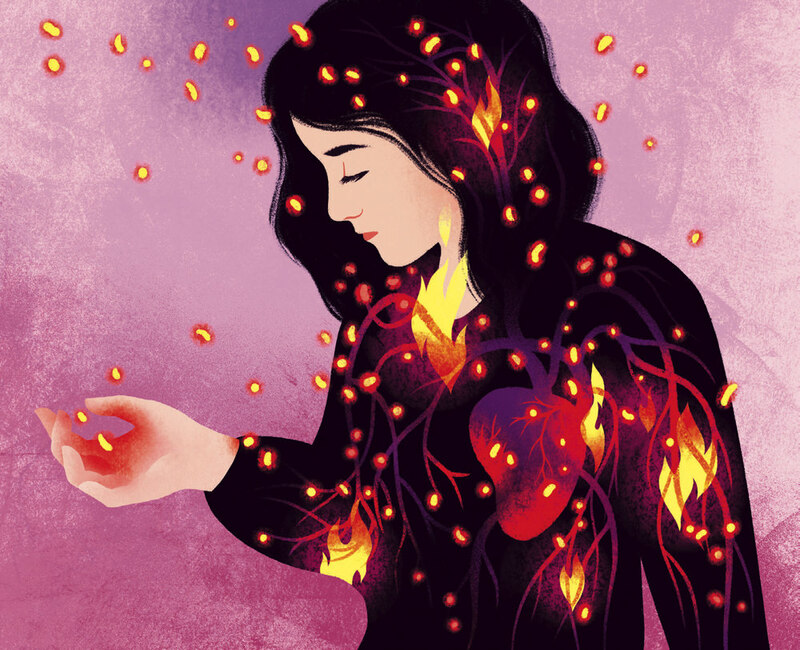 In 2017, two cardiologists at Brigham and Women’s Hospital in Boston, who suspected such a link, published the results of a human clinical trial that will forever change the way people think about inflammation. The trial, which involved more than 10,000 patients in 39 countries, was primarily designed to determine whether an anti-inflammatory drug, by itself, could lower rates of cardiovascular disease in a large population, without simultaneously lowering levels of cholesterol, as statin drugs do. The answer was yes. But the researchers went a step further, building into the trial additional tests seeking to clarify what effect the same anti-inflammatory drug, canakinumab, might have on illnesses seemingly unrelated to cardiovascular disease: arthritis, gout, and cancer. Only the researchers themselves, and their scientific colleagues, were unsurprised by the outcome. Lung cancer mortality dropped by as much as 77 percent. Reports of arthritis and gout also fell significantly. In medicine, believing something is true is not the same as being able to prove it. Because the idea that inflammation—constant, low-level, immune-system activation —could be at the root of many noncommunicable diseases is a startling claim, it requires extraordinary proof. Can seemingly unconnected illnesses of the brain, the vasculature, lungs, liver, and joints really share a deep biological link? Evidence has been mounting that these common chronic conditions—including Alzheimer’s, cancer, arthritis, asthma, gout, psoriasis, anemia, Parkinson’s disease, multiple sclerosis, diabetes, and depression among them—are indeed triggered by low-grade, long-term inflammation. But it took that large-scale human clinical trial to dispel any lingering doubt: the immune system’s inflammatory response is killing people by degrees. Now the pertinent question is why, and what can be done about it. The pharmaceutical industry is deeply interested in finding ways to stop inflammation with medicines like canakinumab, an orphan drug that blocks a specific pro-inflammatory pathway called IL-1beta. But some researchers suggest that the inflammatory process—a normal and necessary part of the natural immune response—has itself has been misunderstood. Scientists know that the process can be turned on and off, but have only recently understood that this doesn’t mean normal physiology will resume once the inflammation caused by infection, injury, or irritant has been shut down. Instead, the restoration of health is an active phase of the inflammatory process itself, facilitated by a little-known class of molecules called pro-resolving mediators—the protectins, resolvins, maresins, and lipoxins—brimming with marvelous, untapped, regenerative capacities. The 2017 clinical trial, called CANTOS (Canakinumab Anti-Inflammatory Thrombosis Outcomes Study), is the result of a long-term collaboration between Paul Ridker and Peter Libby, who suspected as long ago as the 1980s that inflammation played a role in cardiovascular disease. Ridker, an epidemiologist who is Braunwald professor of medicine, came to this conclusion through studies of cardiac patients. He is the physician-scientist who first demonstrated that a molecule called C-reactive protein (CRP), easily measured by a simple and now ubiquitous blood test, could be used like a thermometer to take the temperature of a patient’s inflammation. Elevated CRP, he discovered years ago, predicts future cardiovascular events, including heart attacks. Although nobody knows what it does biologically, this marker is downstream from IL-1beta, and thus provides a reliable yardstick of that pro-inflammatory pathway’s level of activation. Libby, the Mallinckrodt professor of medicine, is a bench scientist and clinician with expertise in the study of heart disease. In the 1980s, orthodoxy within the cardiovascular establishment held that circulating fats (including cholesterol) build up in the arteries of patients with progressive cardiovascular disease. But no one knew why or how the plaques formed. It took work by some of the most distinguished cardiology researchers of the era to lay the groundwork that eventually produced an understanding of the molecular mechanisms that drive deposition of those plaques. Today, in his Harvard Medical School (HMS) office, Libby sketches the origins of atherosclerosis. The interior walls of blood vessels, he explains, are made from smooth muscle cells, lined in turn with endothelial cells that are in direct contact with circulating blood. When a problem arises, caused by anything from cholesterol to bacteria, the vascular system recruits white blood cells, the immune system’s front-line guardians, to the site. Two Harvard professors of pathology, Michael Gimbrone Jr. and the late Ramzi Cotran, figured out that naturally occurring adhesion molecules could attract these white blood cells and get them to stick to the endothelium lining the arteries. Their experiments implicated a pro-inflammatory signal called interleukin-1 (IL-1), which is produced by both circulating and tissue-based immune cells. The pentameric molecular structure of C-reactive protein, a biomarker of inflammation that circulates in the blood. Cardiologists use CRP to predict a person’s future risk of heart attack. Libby, then at Tufts, followed their work closely. IL-1 had been discovered in 1977 by one of his Tufts colleagues, Charles Dinarello, who had been focused on understanding what causes fever, one of the cardinal signs of inflammation. The others, described by Aulus Cornelius Celsus in the first century c.e., are redness (rubor), which occurs when the endothelial lining of arteries dilates to permit more blood flow; swelling (tumor), caused by endothelial cells leaking protein, which carries water; and pain (dolor). By measuring the factors in rabbits’ blood, Dinarello was able to isolate and then clone the specific factor—called a pyrogen—that causes fever: interleukin-1. But before this inflammatory pyrogen even had a name, Dinarello gave some to Libby, whose lab was down the hall. Libby discovered that arterial wall cells not only responded to IL-1, but could secrete it. This was heretical, he explains, because it was thought that only “a properly pedigreed immunological cell” could produce such signals. Now it was clear that the cells of the artery walls were capable of summoning an immune response. Libby further found that IL-1, by altering gene expression in local blood vessel cells, amplifies its signal at the site of the disease. But, “No one in cardiology was interested in inflammation” then, Libby notes. In fact, none of his early work on IL-1 appears in the cardiology literature: “My papers were rejected,” he recalls; “my grants turned down.” In 1986, he published his first paper showing that the lining of the arteries could produce IL-1 in the American Journal of Pathology. These tissue-based white blood cells can also call for backup. When that happens, the heavy guns of the immune system, neutrophils, are first to arrive on the scene. These are “potent, aggressive cells” that can kill infectious agents, Nowarski explains, but “can also cause a lot of damage to healthy tissue.” That’s why most neutrophils are short-lived, with a tightly regulated lifespan of just a few hours: unchecked, they would cause serious harm. Neutrophils, which originate in bone marrow, also play a role in relaxing the endothelial barrier that separates blood from tissue, so immune cells can cross that barrier to reach the site of attack. Other signals—like the IL-1beta protein that Libby and Ridker blocked in their trial—promote adhesion, in order to capture circulating immune cells that reach the damaged tissue. This stickiness, though desirable in the short term, is also the basis of the process that can lead to atherosclerosis if it continues indefinitely. The endgame of a healthy immune response, on the other hand, involves cleanup, says Nowarski: even the death and uptake of neutrophils as they are gobbled by macrophages serve as signals to resolve inflammation. Why inflammation sometimes doesn’t resolve, and becomes chronic instead, is in some sense easily explained in evolutionary terms. “If I’m living 70,000 years ago at a time of food shortage,” says Ridker, “and there’s a drought, the 5 to 10 percent of people who will survive that drought are likely to have insulin resistance”—a tendency to store more calories as fat. “They’re going to live a little longer,” he continues. “When it finally rains, food comes, and that’s the survivor group. In a modern world of too much food, [insulin resistance] leads to diabetes. But in prehistory, it’s terribly important for survival.” While stored fat is beneficial during times of famine, it also harbors potentially damaging pro-inflammatory signaling molecules (see “Eating to Excess: Metabolic Inflammation,” below). Evolution also explains why the underlying biology appears so similar from one disease to the next. Kennedy professor of child neurology and mental retardation Rudy Tanzi studies Alzheimer’s disease, which is well known for causing plaques and tangles in the brain. In 2008, Tanzi and his colleagues discovered a gene that clearly played a role in the development of the disease, but didn’t know how it worked. Five years later, they discovered that the gene is the “on” switch for inflammation in the brain. Tanzi says the work that has most influenced his thinking is the body of resilience studies conducted by Teresa Gomez-Isla, an associate professor of neurology based at Massachusetts General Hospital, who has shown that “you can have a brain full of plaques and tangles, but if you don’t have neuroinflammation, you don’t get the disease”—a finding that neatly parallels the pathological interactions between plaques and inflammation in atherosclerosis. This basic research on inflammation thus underlies understanding of entire classes of human illness. Such similarities among diseases of metabolism and inflammation suggest that they are indeed rooted far back in evolutionary history. Gökhan S. Hotamisligil, Simmons professor of genetics and metabolism at the Harvard T.H. Chan School of Public Health, has constructed his research for the past 25 years on the premise that this shared history suggests shared biological mechanisms as well. The ailments that cluster most dramatically, he points out, are “chronic metabolic diseases” such as diabetes, cardiovascular disease, stroke, Alzheimer’s, nerve degeneration, and cancer. In general, a person who has any one of these illnesses is more likely to develop the others. “This is exactly the same cluster that emerges during aging,” he says. “All of the age-related pathologies exhibit as clusters of non-communicable diseases, except in a much shorter period of time, and earlier in the lifespan. The metabolic stress that underlies these conditions comes from the daily imbalance between how much energy people consume and how much they need, and can process in a healthy manner. The long-term consequence of overconsumption, combined with lack of sufficient expenditure, is stored energy—the accumulation of fat. Excess body fat, especially in the wrong places, is an additional risk factor for inflammation. A fat cell, or adipocyte, is more than 90 percent triglyceride. If the thin cell wall enclosing this droplet of fat ruptures, an inflammatory response ensues. And there is additional evidence that the physical structure of fat cells, or adipocytes, which have been described by Stephen O’Rahilly of the University of Cambridge as resembling a fried egg atop a beach ball of fat—with a tiny rim of cytoplasm encircling the droplet of triglyceride—puts them at risk of rupture. Adipocytes are “cells at the edge under the best of circumstances,” explains Hotamisligil. Ninety percent or more of a fat cell’s volume is triglyceride, a substance chemically similar to diesel fuel. The remaining 10 percent is all the space it has for the organelles that perform the normal functions of cell biology. This bloated cell is thus vulnerable to stress, even to the point of bursting and death. When overloaded with stored lipid, fat cells begin to lose their functional and structural integrity and may start spilling their toxic cargo. When cells fail like this, the immune system kicks in, initially to assist in clean-up. Macrophages engorge themselves on the leaking fuel, and may die themselves during this process. But in the long run, what is meant to be a mutually beneficial interaction between the metabolic and immune systems turns into a very dangerous and harmful relationship. Obese individuals thus live in a state of chronic stress and inflammation; in fact, many people do, because their energy intake vastly exceeds their needs. Hotamisligil calls this chronic energy overload, and the resulting abnormal immune response, metaflammation: metabolic inflammation. “It is pretty clear that inflammation is a bad actor in obesity,” says Korsmeyer professor of cell biology and medicine Bruce Spiegelman. His lab was the first to establish the mechanism linking obesity to inflammation—in 1993, when he and Hotamisligil, then a doctoral student, discovered that fat cells produce an inflammatory signal that interferes with the body’s ability to regulate blood sugar. This, in turn, increases the risk of developing Type 2 diabetes. Together with Rasmussen professor of immunohematology Diane Mathis, Spiegelman is about to begin studying exercised muscle, a natural system that incorporates and manages inflammation on a regular basis. Mathis studies regulatory T-cells (Tregs), white blood cells that are actively involved in maintaining the internal stability (homeostasis) of tissues. Recently, she has sought to understand the role of Tregs in repairing muscle injured as a consequence of physical trauma or disease. Now, by studying muscle that has been exercised, she and Spiegelman hope to gain a better understanding of how inflammation is “supposed to happen, and how it eventually resolves.” The sequence, he says, occurs in four steps: “There’s damage, inflammation, resolution of inflammation, and repair. These phases are very different.” He and Mathis hope to learn how these processes unfold—and ultimately, perhaps, to learn how to stimulate, support, or mimic the body’s natural mechanisms of resolution and repair. Epidemiological studies have helped clarify the importance of lifestyle choices in controlling inflammation. Samia Mora’s 2007 research highlighted the role of exercise. In 2018, she and her colleagues published a study of the Mediterranean diet, which is known to improve cardiovascular health (and also thought to protect against neurodegenerative diseases such as Alzheimer’s and Parkinson’s). Mora examined the effect of this diet on the women who previously participated in the exercise research, 20 years after they had entered the original study. They found that adherence to a diet rich in vegetables, fruit, nuts, legumes, and olive oil, that also includes fish and chicken, but that is very low in red and processed meat and sugary foods or drinks, led to a lower risk of adverse cardiovascular events. As in the exercise study, they found that about a third of the benefit was due to reductions in inflammation. But some of the diet’s benefit could not be explained, meaning that an untested factor was enhancing its healthful effect. Mora speculates that the diet (which includes probiotic foods such as Greek yogurt) might support the health of the gut microbiome, or might stimulate the parasympathetic nervous system, as exercise does, to help people relax. Alternatively, the diet might be protective against oxidative stress of the kind that comes from pollution or smoking. Perhaps unsurprisingly, each of these possibilities is linked to inflammation. The great difficulty with interventions involving altered diet and increased exercise is that these healthy habits aren’t aligned with preferences evolved during millennia of food scarcity. People already know what they should be doing—but for most, that knowledge doesn’t change behavior. Humans are hard-wired to conserve energy (see “Born to Rest,” September-October 2016, page 9), for example, and to prefer foods that are fatty, salty, and sugary. This suggests that pharmaceutical interventions that block inflammation may be necessary to check the global epidemic of non-communicable disease. How to do that is not obvious, however. The intervention that Ridker and Libby devised, blocking a single inflammatory pathway with a drug, helped only a fraction of patients with cardiovascular disease. That is probably because a system as important to sustaining life as immune response has evolved redundancies: block one pathway and another will take over. Some researchers believe, however, that to prevent certain inflammatory diseases, such as rheumatoid arthritis or lupus, multiple inflammatory pathways will need to be blocked to have a large effect. And blocking several of these signaling mechanisms simultaneously, they say, will almost surely suppress the immune system, exposing people to potentially fatal infections. Hence scientists’ interests in another possibility that doesn’t include any risk of immunosuppression: resolving inflammation through a recently discovered class of molecules called specialized pro-resolving mediators. SPMs are unusual immune-signaling molecules, in the sense that they are fats (lipid-derived small molecules), not proteins. They can also mute pain. Their precursors—the substances the body needs in order to synthesize these potent resolving compounds—are the essential fatty acids, including the omega-3 fatty acids EPA and DHA, and arachidonic acid. Think about how over-the-counter anti-inflammatories such as ibuprofen and acetaminophen work. They block a particular signal. But Serhan discovered that aspirin works differently (and in a multi-faceted way): rather than blocking inflammatory signals, it attenuates them. In addition, it has mild anti-coagulant properties that are beneficial in atherosclerosis. And perhaps most importantly, aspirin stimulates the production of at least two classes of health-promoting SPMs. In work published as this magazine went to press, Serhan and colleagues showed that aspirin stimulates the production of a distinct type of SPM that fights cancer tumors in mice, and another SPM that inhibits cancer tumor formation in the first place. Serhan has recently developed a method for creating blood profiles of individuals that reveal whether they have sufficient levels of these circulating resolving molecules, which include classes of compounds called resolvins, protectins, maresins, and lipoxins. Resolvins, for example, have proven beneficial against periodontitis in rabbits and retinopathy and colitis in mice. Protectins have proven effective in preventing ischemic stroke in rats, and against Alzheimer’s in humans. Lipoxins have attenuated pleurisy and cystic fibrosis in mice. And maresins have accelerated wound-healing in mice, and blocked the perception of pain. More broadly, he has demonstrated the benefits of such SPMs in preventing neurodegeneration, and is beginning to study their use by professional football players, who suffer high rates of tissue injuries. Serhan has shown that SPMs can be used to control the inflammation that occurs when blood flow resumes to tissues that have been deprived of oxygen during surgery. And he has created an inflammation-resolving mouth rinse that has been tested in periodontal disease and shown to be safe. In earlier experiments, he demonstrated that pro-resolving eye drops can be used to control inflammation in the eye, which “naturally makes buckets of this stuff in tears, so you are bathing normally in pro-resolving mediators.” SPMs are also abundant in the brain, he has found. These are places where avoiding acute inflammation is absolutely critical: infections of the brain can be fatal, and in the eye can lead to blindness. Colleagues of Serhan’s are using resolvins to control asthma and to stimulate surgical-wound healing. They are also investigating their effects on the microbiome. Earlier animal studies showed that resolvins reduce rheumatoid arthritis. Because these compounds have not yet been synthesized as pharmaceuticals, maintaining healthy levels of SPMs is best supported by foods rich in the essential fatty acids EPA, DHA, and arachidonic acid. “There’s a reason they are called ‘essential,’” says Serhan. “You can only get them from your diet.” Fish contains all three, although arachidonic acid is also present in chicken, eggs, and beef, and EPA and DHA can be obtained from certain plant sources and algae. It’s ironic, he points out, that veterinary science has ensured that lab animals (and even pets) in the United States eat better than most people do, because animal food is fortified with omega-3s. Most Americans, he believes, don’t eat enough of them. The scientific study of inflammation has transformed human understanding of this innate biological response. What once were considered merely symptoms—redness, swelling, fever, and pain—are now implicated as the source of many afflictions. For healing, Serhan foresees, we should also look within.